Ilocos Norte 2nd District Senior Board Member Matthew Marcos Manotoc loves goofing off with his brothers Borgy and Mike. On February 6, the politiko posted an old video of him and his siblings doing a funny dance somewhere in Japan. The beautiful sakura trees were in bloom then. 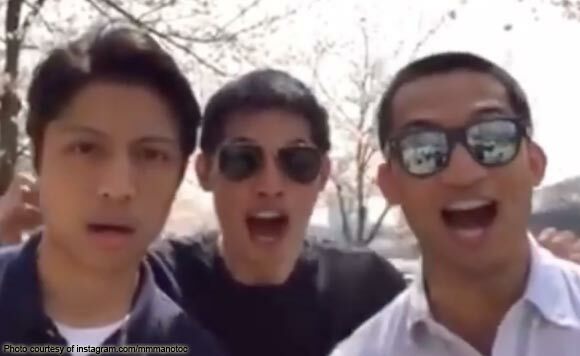 “SA-KU-RAAAHHH #ThreeDorks #Throwback,” Manotoc wrote in the caption.